A decisive discussion is to be held between President Maithripala Sirisena and the Ceylon Petroleum Corporation Trade Union Collective at the Presidential Secretariat today (1st) and future action of the Petroleum trade unions would be decided after the discussion says the Co-Convener of Ceylon Petroleum Corporation Trade Union Collective D.J. Rajakaruna. 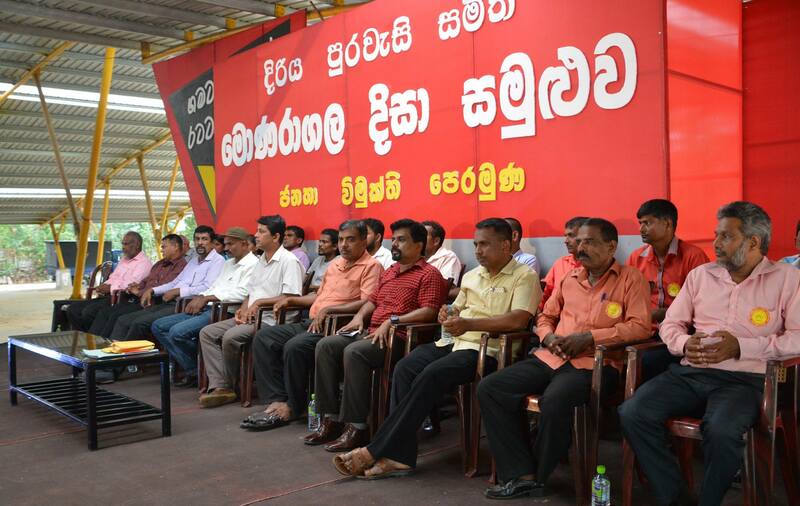 The discussion is to be held today according to the agreement reached between the President and the Ceylon Petroleum Corporation Trade Union Collective during a discussion the President had with the Collective during the recent strike action carried out by Petroleum trade unions. However, an agreement given by the President has been already violated by signing an agreement to hand over Hambanthota Harbour to a Chinese company for 99 years. This agreement was signed on Saturday. At today’s discussion, several including the Minister of Petroleum Resources Development, Minister of Ports and the Minister of Development Strategies and International Trade are expected to participate. Former EPF Superintendent A. Jayalath has told the Presidential Commission of Inquiry to probe bond issue that former Governor Arjun Mahendran had threatened him to appoint Saman Kumara for EPF Front Office operations in 2015. The witness said he was not satisfied with the appointment of Saman Kumara as the staff at EPF kept informing him about Saman Kumara’s questionable past and his involvement in several controversial deals when he was at the EPF before. 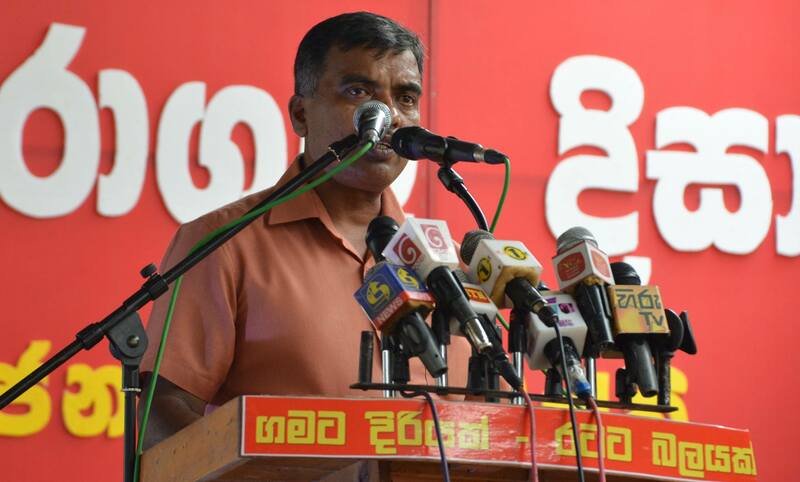 As he was concerned regarding appointing Saman Kumara, on 8th June, 2015, former Governor, Arjun Mahendran phoned him and scolded him saying Saman Kumara was a CFA qualified person and to appoint him to the EPF Front Office. Mr. Jayalath answering questions said Saman Kumara could reach the Governor directly as a front office dealer which was unethical. 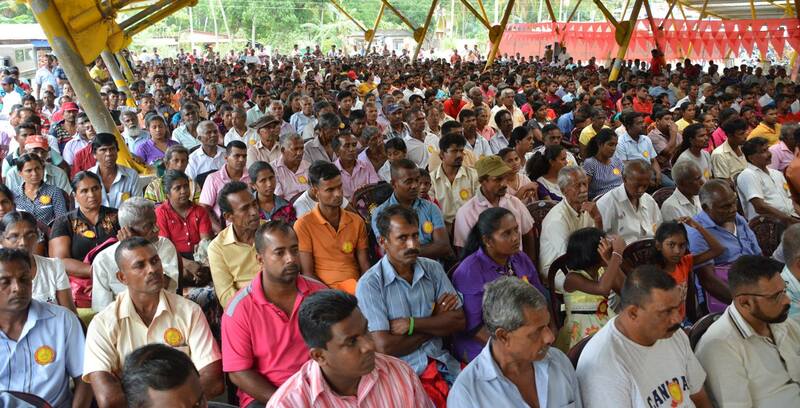 The programme to build District Conventions of ‘Diriya Purawesi Samithi’ under the programme of “Gamata Diriyak – Ratata Balayak” (Boost for the Village & Power for the Country) of the JVP was launched from Monaragala District on the 29th. The Convention held in Buttala town was attended by representatives of a large number of ‘Diriya Purawesi Samithi’ built in the District. 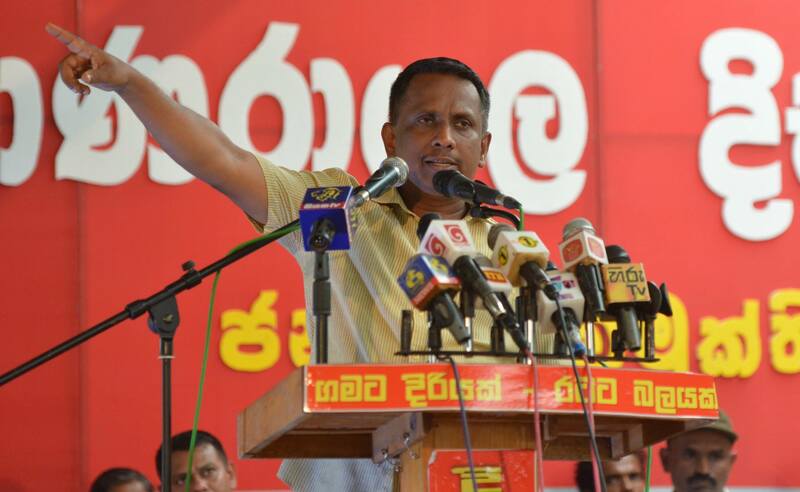 The Leader of the JVP Anura Dissanayaka participated as the chief guest while the Member of the Uva Provincial Council Samantha Vidyarathna and Monaragala District Provincial Councilor of the JVP H.M. Jayawardene were present. A special discussion headed by Minister Mahinda Amaraweera in connection with the ‘Uma – Oya multi destructive project’ had been held in Badulla yesterday (31st). Despite the ‘People’s Front against Uma – Oya Multi Destructive Project’ was not informed regarding the discussions, members of the organization were able to intervene while the discussion was going on. 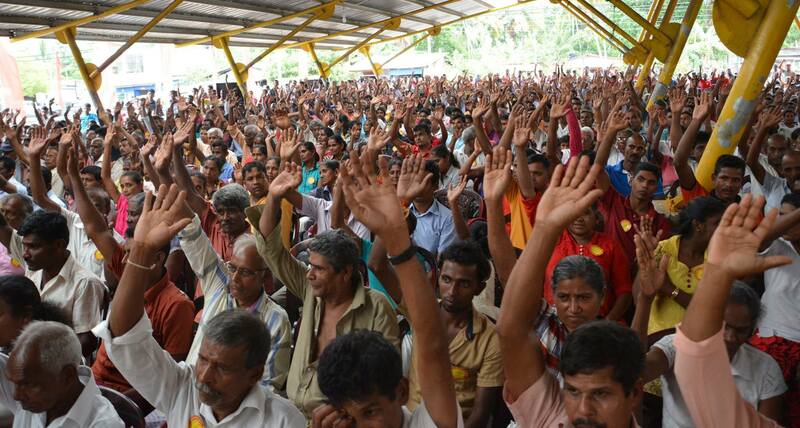 ‘People’s Front against Uma – Oya Multi Destructive Project’, getting information that such a discussion would be held had asked an opportunity to participate in the discussion. However, they had not been informed regarding the discussion. This is despite an agreement to hold a monthly progress review reached at the discussion held with the President earlier. 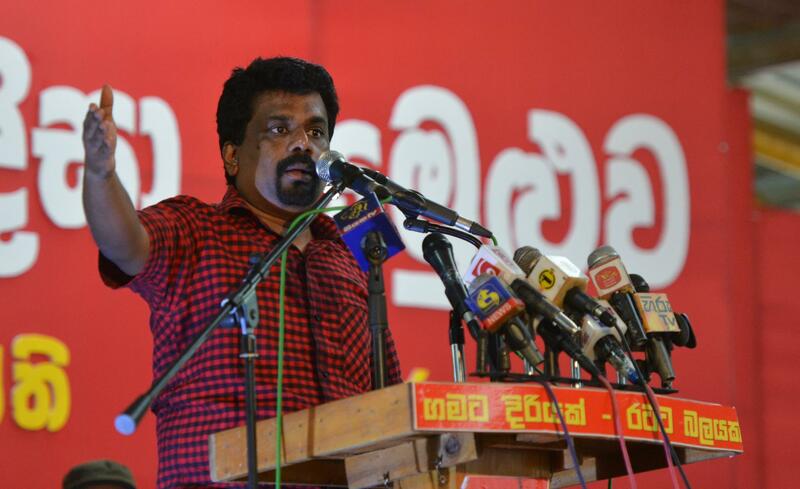 The convener of ‘People’s Front against Uma – Oya Multi Destructive Project’ JVP Provincial Councilor Samantha Vidyarathna had phoned the Minister protesting against having the discussion secretly and had asked for an opportunity to participate in the discussion. Later, he had been allowed to participate. The current issues of the project had been presented. The main proposal of the ‘People’s Front against Uma – Oya Multi Destructive Project’ was to appoint a presidential commission to analyse and evaluate the destruction of the project as the government has failed to do so until now. They want experts from agricultural, economic, environmental and social sectors to be appointed to this commission. ‘People’s Front against Uma – Oya Multi Destructive Project’ has also presented details about people not receiving 500 litres of water per person as had been promised, failure to pay compensation for houses, agricultural lands of the people that were destructed due to the project. The Organization also handed over a letter to be handed over to the Norwegian expert the government states would come to study the destruction of the project and had asked an opportunity for the Organization to meet him.